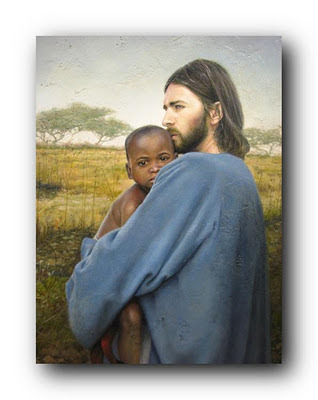 Mormon Wookiee: #27: Man models as Jesus for Liz Lemon Swindle paintings. #27: Man models as Jesus for Liz Lemon Swindle paintings. You can read the full article by Trent Toone at http://www.deseretnews.com/article/705395464/Modeling-as-Savior-helps-man-find-his-faith.html?pg=1. I really enjoyed the article. As a side note, I also wanted to show you one of my favorite Liz Lemon Swindle paintings that my parents hung up in our house when I was growing up. 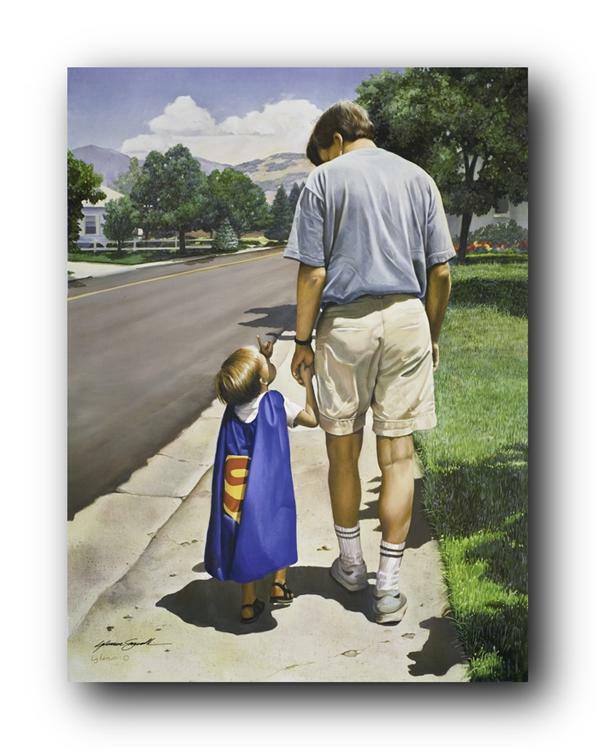 It is called "Superman's Dad". It always made me feel important as a kid. Love ya, dad!